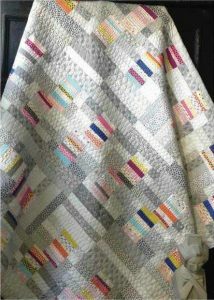 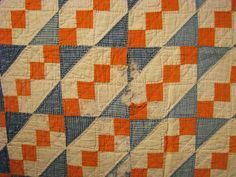 I lived up the road, well 4 hours up the road, from the capital of quilting, Paducah Kentucky, for over 10 years. 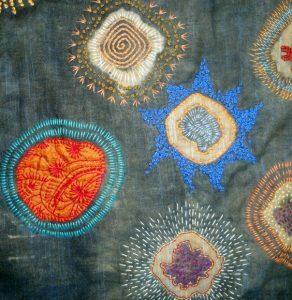 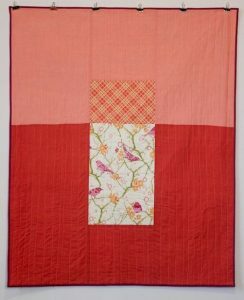 In that time I taught myself how to quilt and have been in love with the art form ever since. 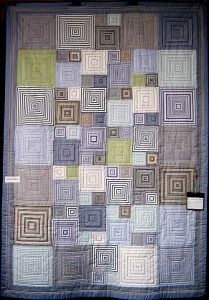 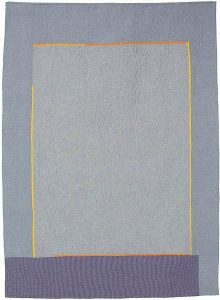 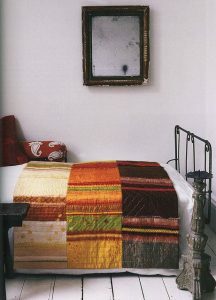 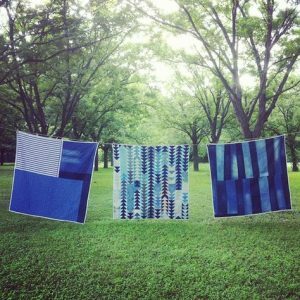 Of course, being in the south of the US the use of Quilts as a means to communicate in secret along the underground railroad – the system of safe houses that helped free slaves to the north as they escaped their southern masters – was a large part of what you saw in museums and exhibitions. 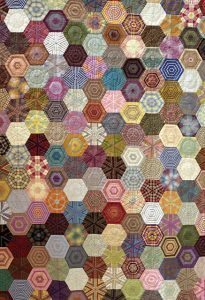 It is fascinating and humbling to see the resourcefulness with which beautiful quilts were created by enslaved women and girls with very few resources and limited supplies. 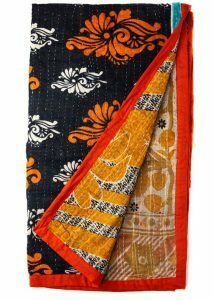 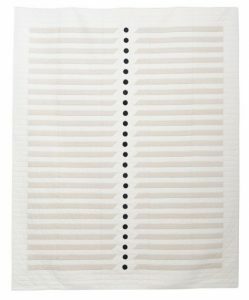 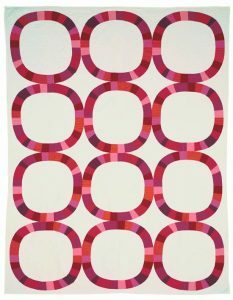 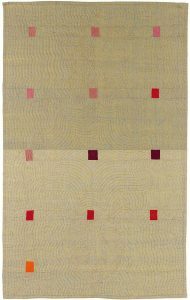 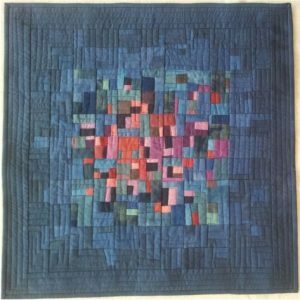 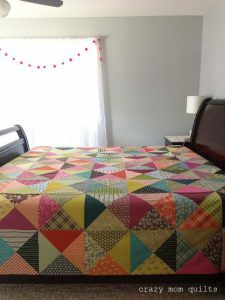 But the quilts that I find myself drawn to now, from an aesthetic point of view, are the modern ones that have been created with the huge palette of fabrics now available to us by amazing artists that have chosen fabric as their medium. 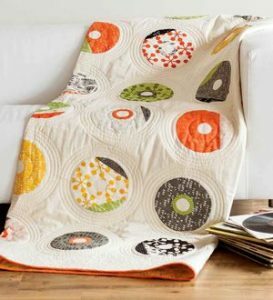 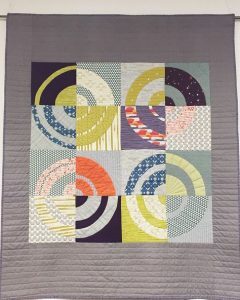 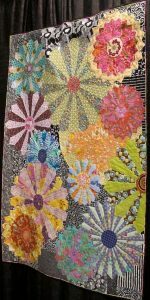 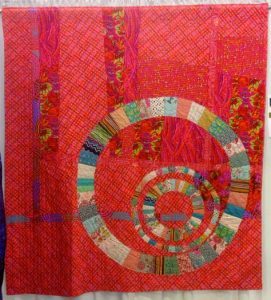 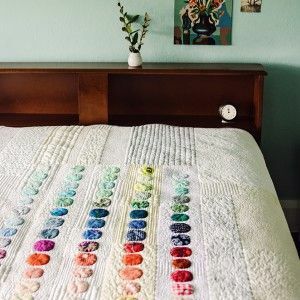 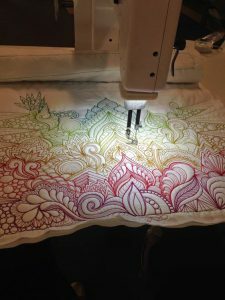 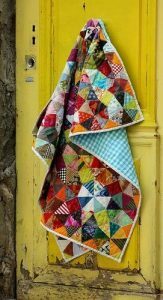 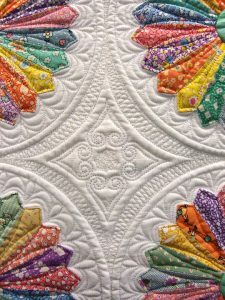 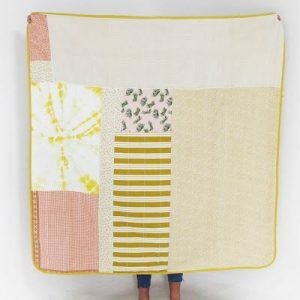 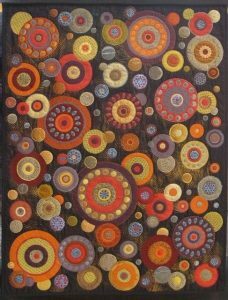 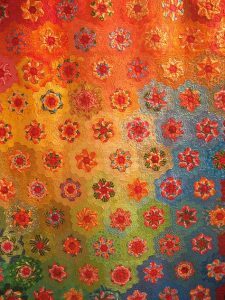 There are several celebs that I have followed for years, Kaffe Fasset, Denyse Schmidt, a husband and wife team that call their designs Fun Quilts, Willyne Hammerstein with her Millefiori Quilts that aside from being striking visually, are a masterpiece of precision and engineering. 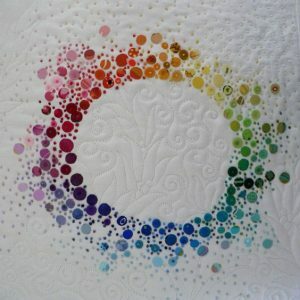 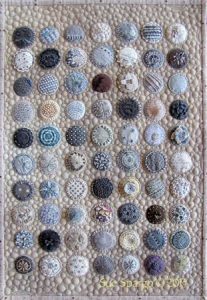 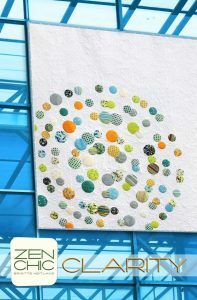 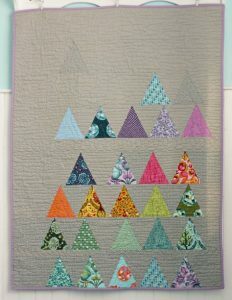 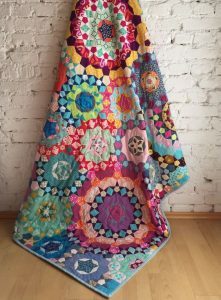 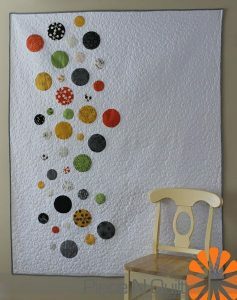 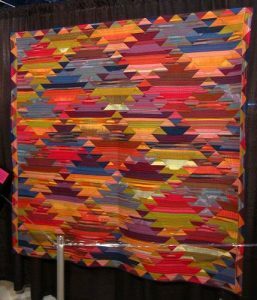 Of course there are many many quilters that create absolutely stunning pieces. 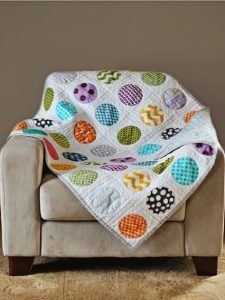 Many are twists on an old theme or a traditional pattern. 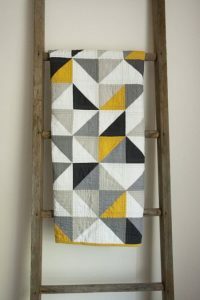 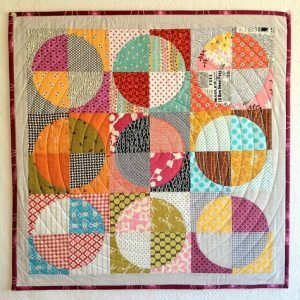 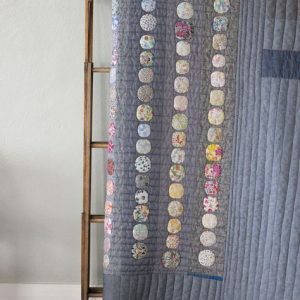 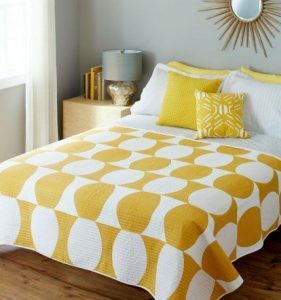 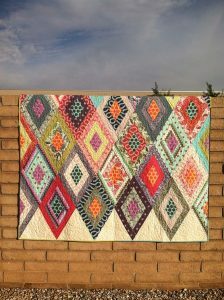 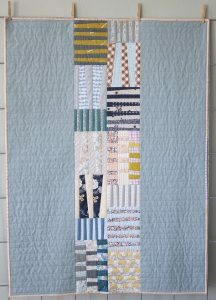 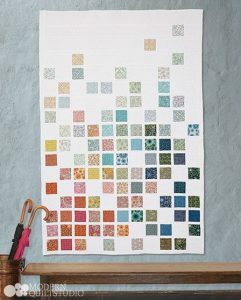 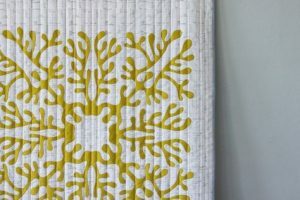 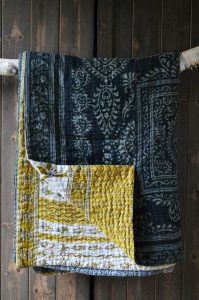 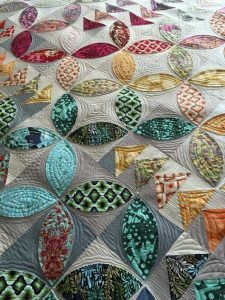 Some have come up with extraordinary new designs, that at first glance are, yes visually very pleasing, but if you understand what is involved in the construction of a quilt top and then the actual “quilting” itself, are absolutely genius! 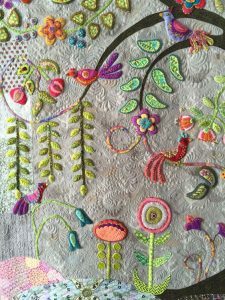 The cleverest are tricks played with colour and shapes and contrast that take a real artist with vision, planning and exquisite craftsmanship to produce. 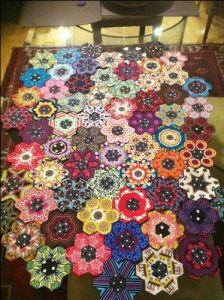 For some of us a life long challenge to pursue.